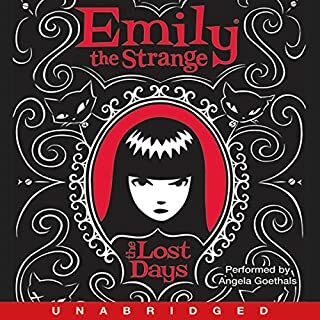 Emily the Strange: 13 years old. Able to leap tall buildings, probably, if she felt like it. More likely to be napping with her four black cats; or cobbling together a particle accelerator out of lint, lentils, and safety pins; or rocking out on drums/ guitar/ saxophone/ zither; or painting a swirling feral sewer mural; or forcing someone to say "swirling feral sewer mural" 13 times fast.... and pointing and laughing. This book will make the mad scientist inside feel jealous and gleeful all at once. Perhaps the resultant heady giddiness will influence new experiments? 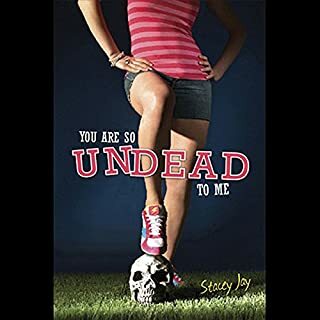 This is a fun zombie gore fest/ queen-bee mean girl coming of age story. Its also funny and heartwarming . . . somehow. . . This is the first Westerfeld novel to which I have listened. I found it rollicking fun and an excellent escapist romance (in the chivalric sense of the word). From a distance, the premise is simple (music is the staff of life), but the presentation is complex (societal collapse). The author weaves plague, vampire, and scientific mythology throughout the story, along with his apparent love of guitar driven music. In fact, one of the aspects of the book which was most enjoyable was the character's interaction with music, and how the drastic changes to the environment around them (a plague, city abandonment, military rule) effected their relationship to each other and the music. They protagonists are teenagers, and somewhat lack in empathy and awareness. Nonetheless, they are compelling in their various reasons for being where they when their world changes. Another aspect which made the novel enjoyable was the use of place as a character. Authors and filmmakers love to destroy New York City. This novel was able to do so with gritty aplomb without a major natural disaster. The narrators characterize each individual very well. They are able to make each one shine as it's own individual entity. This book is a favorite guilty pleasure. 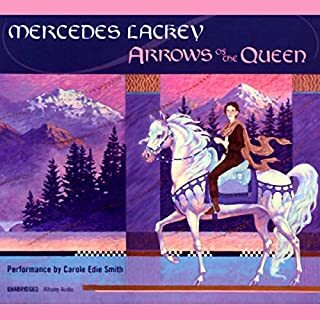 It is part of the earlier Valdemar series and one of, or the, first of the ones depicting Queen Seleney's reign. The novel is a world builder, not bogged down in repetition that clogs the storytelling in this series. Familiarity makes it extra important to enjoy the reading. This narrator speaks in the cadences of the Northeast US. She bites the words and rounds the vowels in such a way that it may be disturbing to people who don't clip their words or rapidly tattoo a sentence. However, to me, it was a pleasant and enjoyable experience, as these are the tones of home. Many times I felt she was feeling compassionate and warm in her characterization. Overall, this audiobook will remain on the rainy day shelf.